Good Morning. Today I’d like to share a part of my testimony. For the longest time I have been a perfectionist. Trying to make sure everything in my life is going as I plan and having an alternate option in case the first does not work out. However, recently I found myself stuck with no option to work on my own. This is when I realized that my trust and faith in God was being tested. God was basically saying to me, “You’re not supposed to have all the answers. You’re trust should be in Me”. I encourage you to embrace your weaknesses. You dont have to be strong in every area of your life. 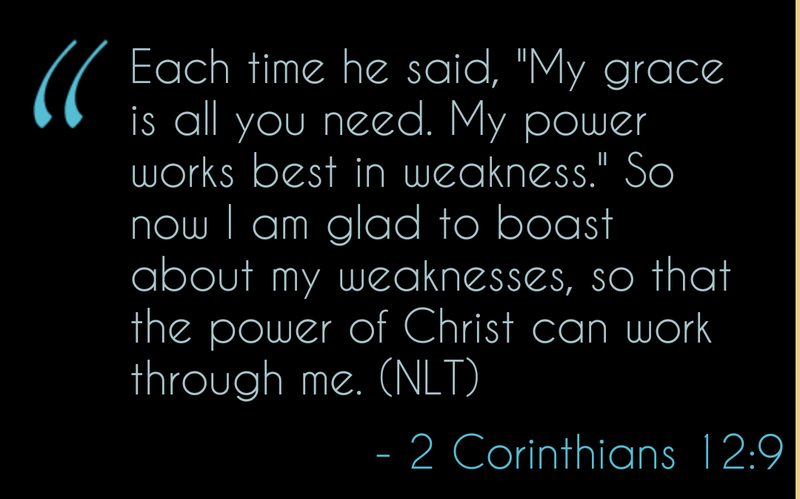 Learn to magnify your weaknesses and let God be strong in you.